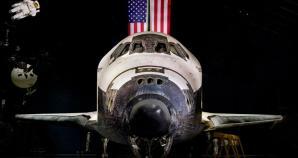 Count down the days until your adventure of seeing the Space Shuttle Discovery at the National Air and Space Museum Steven F. Udvar-Hazy Center. This stunning Smithsonian museum shouldn’t be missed, and while admission is free, there is a parking fee. Save money by arriving after 4PM to explore and park for free!